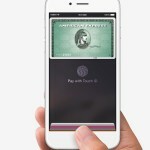 Apple has just announced that it has added UnionPay as a payment option on the App Store for customers in China. 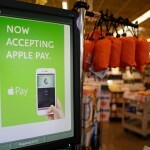 “The ability to buy apps and make purchases using UnionPay cards has been one of the most requested features from our customers in China,” said Eddy Cue, Apple’s senior vice president of Internet Software and Services, in a press release, noting that China is Apple’s second largest market for app downloads. UnionPay is the most popular payment card in China, offered as it is in all cities and rural areas in the country. It’s also supported in more than 140 countries and regions around the world, with more than 4.5 billion UnionPay cards issued worldwide. 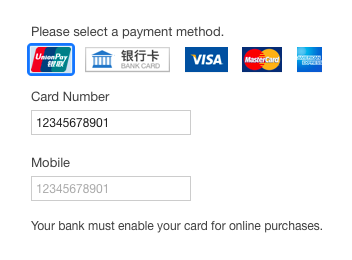 The addition of UnionPay as a payment option on the App Store allows customers in China to link their UnionPay debit or credit cards to their Apple IDs for one-tap purchases of apps. Aside from UnionPay, the Chinese App Store already supports Visa, MasterCard, Amex, and Chinese bank cards. Last week, it was reported that Apple had been in talks with the Chinese e-commerce giant Alibaba to launch its mobile payment service, Apple Pay, in China. See also: Aaron Sorkin talks about lead actor and ‘heroine’ of Sony’s upcoming Steve Jobs biopic, Apple Pay seeing significant adoption at retailers like Whole Foods and McDonald’s, and People are buying the iPhone 6 by a 3-to-1 margin over the iPhone 6 Plus.